Our weight loss centers were established with the needs of real people in mind! We provide safe and healthy M.D. Physician supervised weight loss programs for adults 18 and older. We care for one patient at a time - we do not have "group" sessions, instead our doctors and team members consult with each patient as an individual. After meeting with you personally to learn more about your situation, we will offer recommendations to suit your lifestyle, with consideration to any medical conditions. Partners in Your Plan. Each member of our team has most likely walked a mile in your shoes at some point - we can all relate to the uncertainty that comes with changing the way we think about our personal health. We view our role as your support partner, answering questions and providing you with helpful information as you plot your course to lose weight and maintain a healthy lifestyle, in the real world. Our Medical Director is a board-certified M.D. Physician and a member of the prestigious American Society of Bariatric Physicians, a national organization of physicians who specialize in weight control. 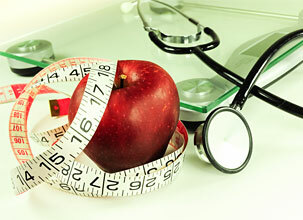 Our Nutritionists have extensive experience in counseling and assisting patients in weight-related issues. Our West Georgia weight loss facilities offer flexible hours to accommodate busy schedules. We all look forward to assisting you in shedding those extra pounds and starting a new, healthy lifestyle!